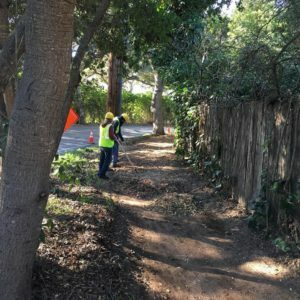 Partnering with Santa Barbara County Public Works Department and the Workforce Development Board and operating under a Road Enhancement Partnership Project permit, the Bucket Brigade is deploying a labor force — supported by disaster-recovery funding from the U.S. Department of Labor — to improve the safety and aesthetic of county roads impacted by the Thomas Fire, 1/9 Debris Flow, and subsequent winter storms. The first stretch of our roadway enhancement project was completed in January. 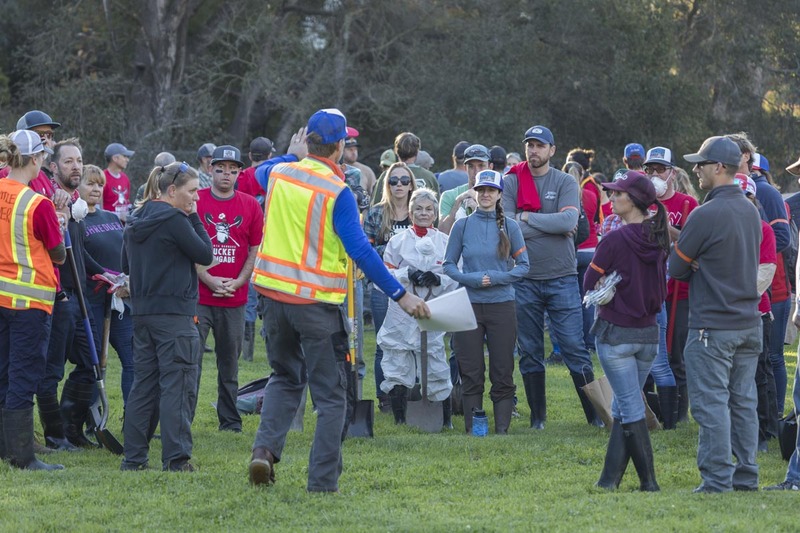 With further input from the Montecito Trails Foundation and the Land Trust for Santa Barbara County, these crews are also working in public open spaces to improve impacted trail systems, creek corridors, and native oak forests. 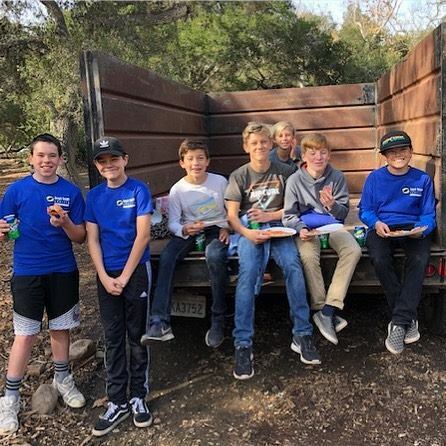 This partnership will also collaborate with the Montecito Union and Cold Spring school districts on their “Safe Route to School” projects, designed and executed to increase the roadside safety of children and families walking to and from school. 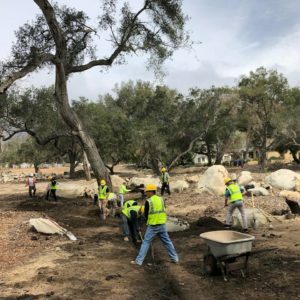 These projects represent an essential component of Montecito’s long-term recovery from the natural disasters. 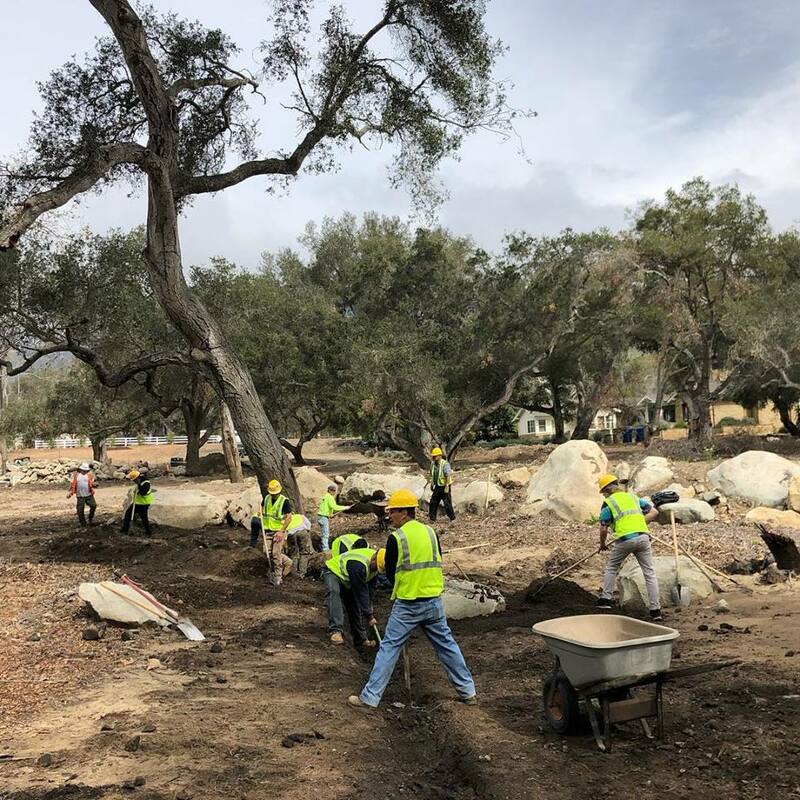 By rebuilding and enhancing the existing network of pathways we are restoring the physical and psychological interconnectedness of our fractured community. 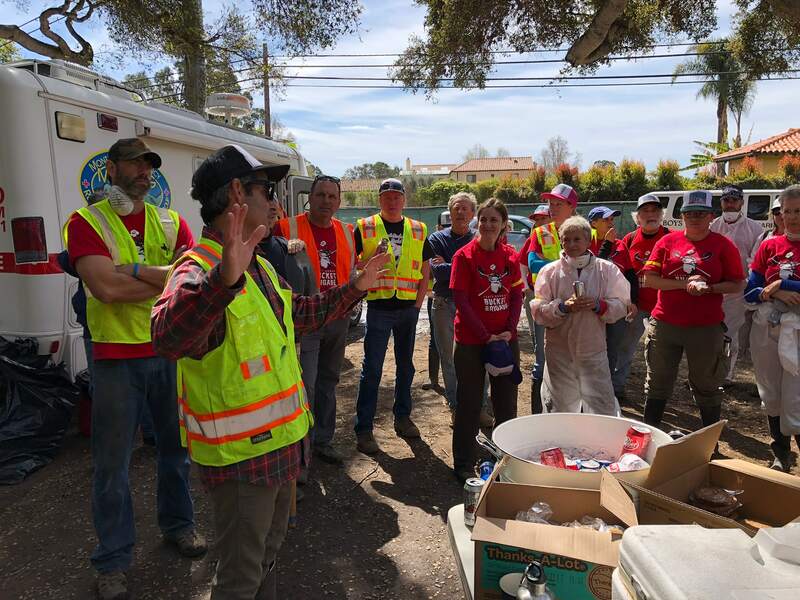 The Bucket Brigade has been clearing mud and debris from homes since the catastrophic event, and the extension of our work into the paths and public rights of way was a natural next step. The wellbeing of Montecito is bolstered by pedestrian access to trailways for recreation and transportation. The improved pathways will also be beneficial for local businesses by increasing foot traffic and connecting the commerce centers of the Upper and Lower Villages and the Coast Village Road corridor.